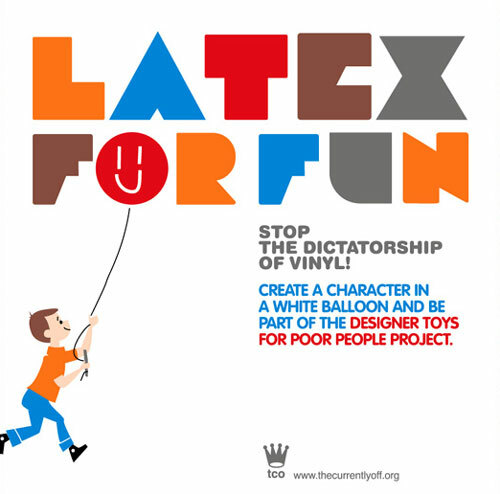 “Latex for fun” is a collective project that started in Barcelona with a simple idea: create disposable “designer toys” with pure d.i.y. ethics. 2) draw a face on it and create a character you´ll fall in love with. The DEADLINE is JUNE 12 2006. Submissions will be published in a zine with ach collaborator recieving a copy.